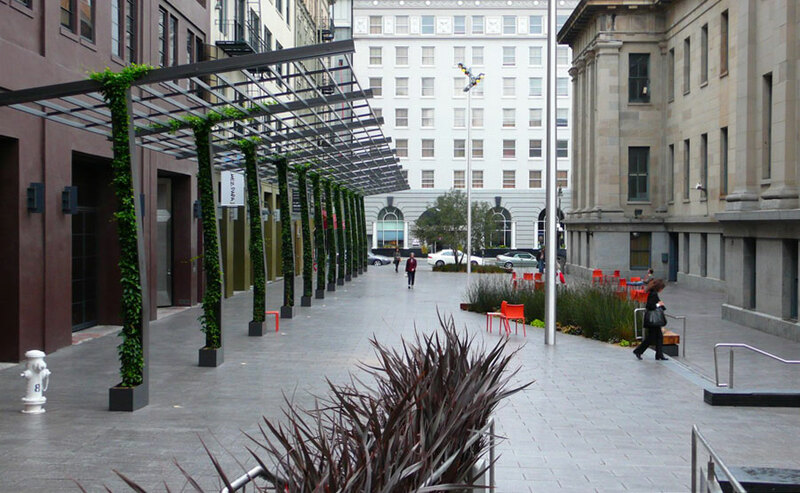 In 2010, San Francisco Beautiful recognized the Mint Plaza revitalization project with a Beautification Award. This former alley is now a public pedestrian plaza, donated to the City by the Martin Building Company, and maintained and managed by the non-profit Friends of Mint Plaza. With movable chairs for frequent events, this sophisticated design provides a new urban stage and a model for underutilized alleys throughout our inner city.